The Galaxy Note 8 was one of the best phones of 2017, yet I couldn’t help but feel Samsung played things safe after the flaming Note 7 fiasco. Not so with the Note 9. 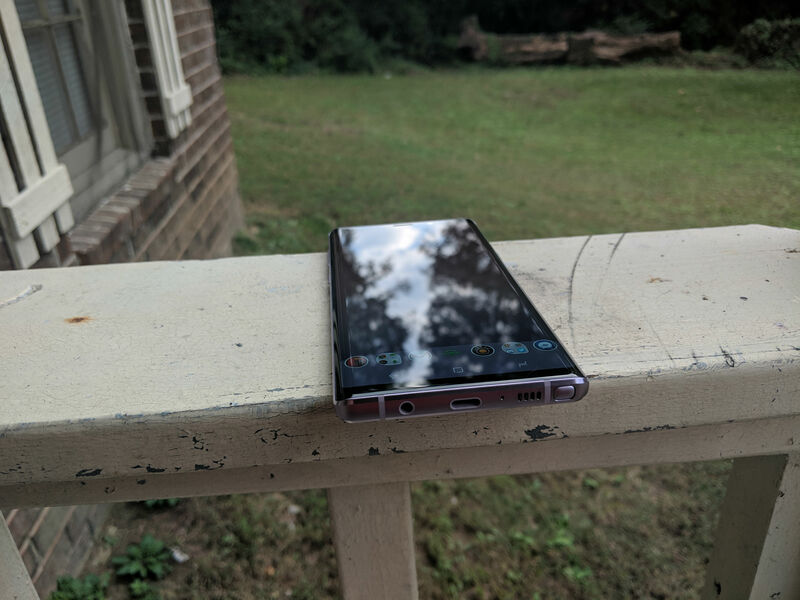 Huge thanks to the folks over at Verizon Wireless for sending over a Lavender Purple Samsung Galaxy Note 9 for me to do this review with. The folks at Verizon are always sending over great stuff for me to play around with here at TechDissected and it goes without saying that we appreciate them more than anything. The company has regained its confidence and returned the series to its overpowered roots. I’ve been using the device for over a month now, and it delivers on almost everything you’d want on a $1,000 phone. Unless you’re looking for a small and cheap device, there’s something for everyone. 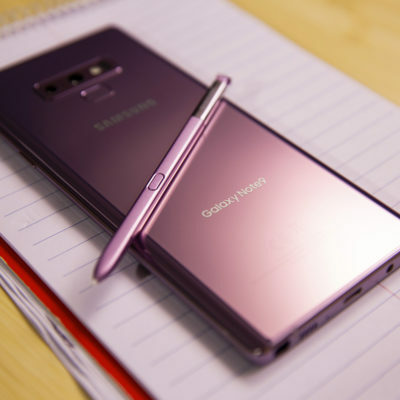 By now Samsung’s design language is a little stale, but beyond that context, it’s still a classy looking device; I assume Samsung is waiting until next year’s Note 10 before a major overhaul. And though I don’t think iPhone X-like notches are as bad as they’re cut out to be, I give Samsung props for not blindly following the trend. So, is there any reason to not get the Note? Well, yes. For starters, it lacks a certain “wow” factor. Apart from the tad higher battery capacity and double the storage, there’s not all much different from the Galaxy S9 Plus, or really from the Galaxy Note 8 before it. Bonkers storage is good, but you could also buy a cheaper phone and scoop up external memory for much less than the cost of a new Note 9; there are fewer phones with this option, but the Galaxy S9 and S9 Plus have it. And while the Note 9’s battery life will take you from morning to late night on a single charge, is it really worth the price of 300 cappuccinos? Can you find two hours each day to charge from 0 to 100 percent? And 15 minutes extra if you need an emergency top-up? 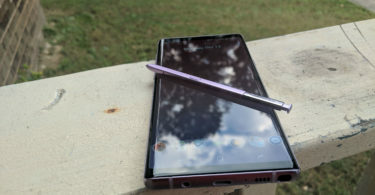 As for the Note 9’s new, cool S Pen stylus; Bluetooth turns it into a remote control, but it feels forced to use it in day-to-day life. We didn’t get a rumored in-screen fingerprint reader like what some other Android phones have, or a 3D front-facing camera like the iPhone X and Oppo Find X. And the Note 9 can’t latch on to insanely fast 5G data speeds whose networks will start bubbling up in 2019. This phone feels like Samsung’s holding back for next year’s Galaxy S10. The new S Pen is the Galaxy Note 9’s standout feature by far. You can still write, draw, navigate around and create live messages. But now, the S Pen’s button can trigger different actions: You can open the camera app, flip the camera around and take a photo, all in a couple clicks. Of all the things you can do with the S Pen, this impressed me the most. 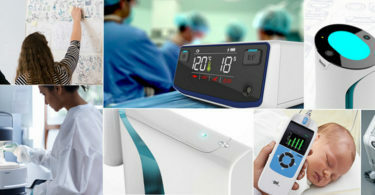 The Pen also lets you control a presentation; you can advance slides, play or fast-forward songs in a music player and shuffle through photos in a kind of gallery slideshow. The new skills rely on Bluetooth Low Energy (there’s an antenna inside the pen body), and you can customize the actions in a dedicated settings menu. Your options are limited for now, but Samsung wants to get other app makers on board. Your phone will warn you if it’s been without the S Pen for too long. If you lose the tool, you’ll have to buy a replacement; there’s no Find my S Pen feature. Here’s another fun perk: The Note 9 will now write in the color of its S Pen when you’re jotting notes on the black lock screen (the feature is called Screen-off memo). So, that’s yellow, purple, copper and white (for the black version). You can also switch to white “ink” if you’d prefer. At this point, though, why can’t you pick any color you like? The photos largely resemble those from the Galaxy S9. Though the variable aperture may be the headlining feature, it makes relatively little difference for most photos. It helps daytime photos be a bit sharper than they might otherwise be with that F1.5 lens wide open, but it’s not something that makes an immediately palpable difference. 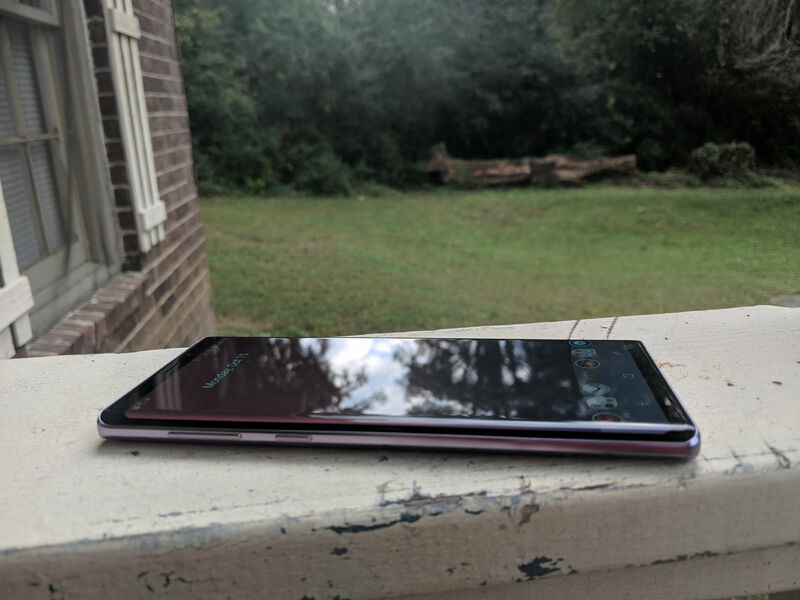 My issue with images from the Note 9 is with its processing. In daylight, images are slightly over-sharpened and some fine detail is smoothed out. That’s usually fine, but at night, Samsung prioritizes noise reduction far over detail, leading to soft looking images. For what it’s worth, Huawei is guilty of the same, but the much larger sensor on the P20 Pro mitigates the need for noise reduction in the first place. Not only does Google do a better job with lighting, the image also retains much more detail. I’m being a little harsh on Samsung here though. It’s still a good camera, and I appreciate the wealth of shooting options not available on other phones. Most people won’t notice my particular qualms; I just think Google, Huawei and Apple have a leg up on image quality. Sadly, Samsung’s new AI camera software for it dual 12-megapixel cameras isn’t anything to get excited about. The AI software analyzes a scene and quickly detects if you’re shooting a flower, food, a dog, a person or something else entirely. There are 20 options, including snowflakes, cityscapes, fire — you get it. Then the camera optimizes white balance, saturation and contrast to make photos pop. It works fine, and you’ll see some big differences when photographing your lunch for Instagram photos. But the scene optimizer often takes a beat to kick in, and you can’t dismiss the suggestions with a swipe the way you can on the Huawei P20 Pro. It’s either on, or off. Samsung is following the way the industry is going with AI camera software. But others got there first, so it feels like a minimal addition to what is essentially the S9 Plus’ camera app. It’s hardly worth calling out. You won’t find a better display on any current phone than the one on the Samsung Galaxy Note 9. It’s a 2960 x 1440 panel, with sloping ‘Infinity’ edges and support for HDR content. The displays Samsung produces for its own handsets (alongside those of other phones, such as the iPhone X) are the best for a number of reasons. 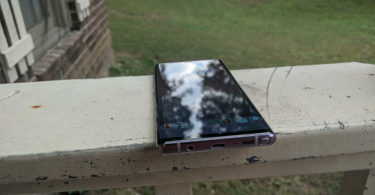 The Note 9 uses an OLED panel. Compared to LCD, OLEDs use less power and only power on the required pixels, therefore displaying perfect blacks. This means that when you’re watching content with plenty of dark scenes, they’ll actually look black rather than slightly washed out. Samsung’s panels also have much better colours than competing OLED’s from LG; in my opinion, anyway; and that’s certainly the case here. In the default mode everything looks vibrant and punchy, without sacrificing too much colour accuracy. There might be slightly more punch to reds than you’d see in real life, but I think that’s more pleasing to the eye here. In their infancy OLED’s on phones suffered with poor brightness and as a result had difficulty with poor outdoor visibility. That’s not the case here: the panel is ridiculously bright and I tended to not even feel the need to push it past 45-50%. The brightness will also boost in super-bright environments making it easy to read. One minor issue, especially in sunnier situations, is reflections on that curved display. This has been an issue for all Samsung phones with this design trait and it remains here. It doesn’t affect usability too much though, and I got used to it after a few days. The improvements Samsung has made to the exterior design of its handsets over the past couple of years have been clear and obvious. 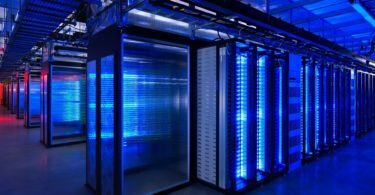 However, its improvements to the software are just as important. The once derided TouchWiz, now referred to as ‘Samsung Experience’, is among the better Android skins around thanks to serious depth and a nice design. It’s about as far away as you can get from Google’s vision of Android, but in many ways it does things better. Swiping up from the homescreen to view your apps and down to your notifications is fluid and natural, while icons and widgets fit very much with the aesthetic of the phone. Where Samsung really impresses is in the sheer amount of customization options. I love being able to alter the screen resolution to save power, as well as being able to turn on the performance mode to stop extraneous processes when gaming. Samsung’s multitasking is the best in the business too: you can pop out videos from supported apps, minimize apps into floating windows and even set up handy shortcuts that will open two apps simultaneously. Samsung’s battery saver modes are great, with multiple options for customizing areas that affect usage. For instance, you can tweak by how much it lowers the brightness, throttle the CPU speed, or temper background data usage. It also tells you how much extra juice you’ll gain by enabling these modes – perfect, if you’re trying to stretch the battery life out over, say, a weekend camping. Biometric security is common on just about every device in 2018. While Apple has gone all in with facial recognition, Samsung is more open to other methods. There’s the fingerprint sensor on the rear of the Note 9, plus an iris scanner on the front; a more rudimentary facial unlocking system is in the mix too. For me, the fingerprint method remains the best here. While iris scanning is cool and has a futuristic whiff about it, it’s slow and requires a bright red light to burst from the phone every time it’s initiated. Fingerprint unlock remains the only way to authenticate Google Play purchases and unlock certain apps, so it’s wise to enable this even if you’re going to mainly use other methods to access your device. The area that Samsung appears to be a step behind much of the competition is gesture control and navigation. I love navigating the iPhone X through a series of swipes, and it works very well on other devices such as the OnePlus 6 and Huawei P20, too. Samsung seems reluctant to add anything similar, meaning you’re stuck with the usual three Android soft-keys constantly visible. It will be interesting to see how Samsung deals with the Android Pie update, which brings a new method for navigation and multitasking. 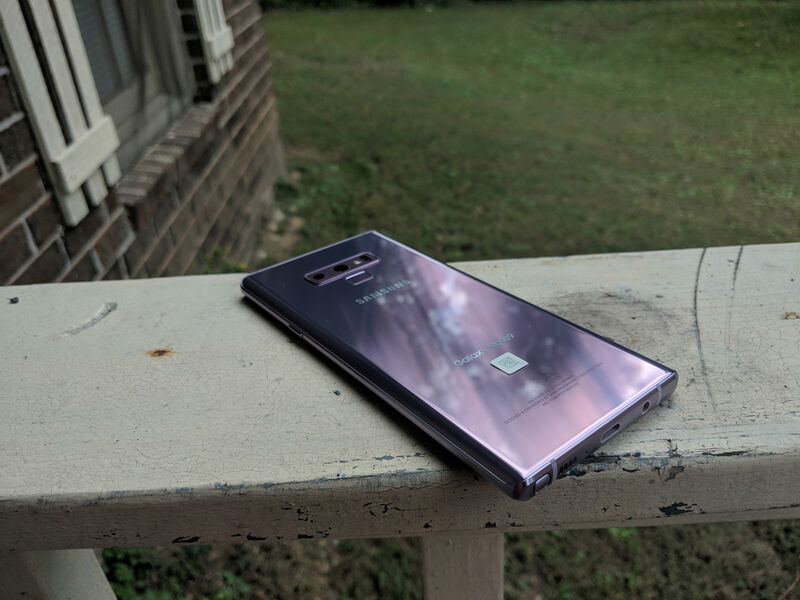 How soon Pie will arrive on the Note 9 remains a mystery, however. Samsung’s biggest issue with its software remains just how many duplicate apps you’ll find here. Samsung clearly wants you to forget Google’s own apps exists, as it has created its own version for just about all of them. There’s two browsers, email clients, app stores, clocks, calculators and payment services. It’s a mess and a pain to sort out. You’ve also got two voice assistants: Bixby and Google Assistant. Bixby has seen some visible improvements in this version 2, but there’s still so much going on and it doesn’t manage any of it very well. So much so that I end up switching it off completely, relying on the far superior Google Assistant instead. Bixby’s problem is that even basic requests, such as asking for a weather update or for a timer to be set, are often misheard and performed incorrectly. Inside the Samsung Galaxy Note 9 you’ll find a 4000mAh battery, a cell so large there are few other flagships devices housing a similarly sized unit – at least in Europe. It matches the battery size of the Huawei P20 Pro, and comfortably exceeds the Note 8 (3400mAh) and Galaxy S9 Plus (3500mAh). It was a much-needed addition, too; the endurance of 2017’s Note 8 left much to be desired. The bigger cell leads to definite improvement here, but if you’re a heavy user then you’ll still likely need to charge the Note 9 every night. It’s fair to say that for the first few days with the Samsung Galaxy Note 9, I was very disappointed. Phones usually take a while to bed in, for the battery life to steady, but the Note 9 was depleting at a rapid rate. It was worrying. A couple of days later though and things had leveled out. I was now going from 7am to midnight with about 10-15% left at the end of the day and an average of 5-6 hours screen on time. On a lighter, weekend day I went until about 1pm the following day without needing to charge. These are good results, but ones I would expect. Where the Galaxy Note 9 seems to lose lots of battery is during intensive tasks. An hour of HDR streaming on Netflix ate through 12%, while dialing that down to HD it lost 10%. A 30-minute Fortnite game consumed 17% of the battery, while an hour of Spotify streaming with the screen took off 8%. It also struggled to conserve power overnight: dropping from 17% to dead while I slept. The iPhone X, comparatively, lost just 3% when I left it off charge overnight. However, with less ‘intensive’ tasks the Note 9 impresses. General browsing, phone calls, messaging are all well handled. The strong battery-saving modes also help to stretch it out further, if need be. Removing the always-on display results in an extra 5% per day, and you’ll achieve the same by reducing the screen resolution. Having a bigger battery naturally leads to slower charge times and this is an area Samsung could have pushed harder with. Samsung’s fast charge method (Adaptive Fast Charge) is built upon Qualcomm’s older Quick Charge 2.0 standard and it’s not the quickest. Even though the on-screen readout implied it would take just over 90 minutes to fully charge, it tended to be over 2 hours. There’s wireless Qi and PMA wireless charging too. 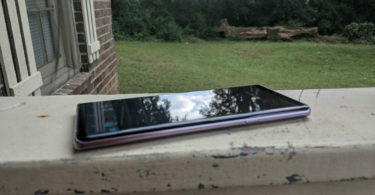 The Note 9 is a great device overall. For me personally, I’m not a Samsung user as I’m a Pixel user. Therefore paying $900+ for this device would be super hard for me to do. 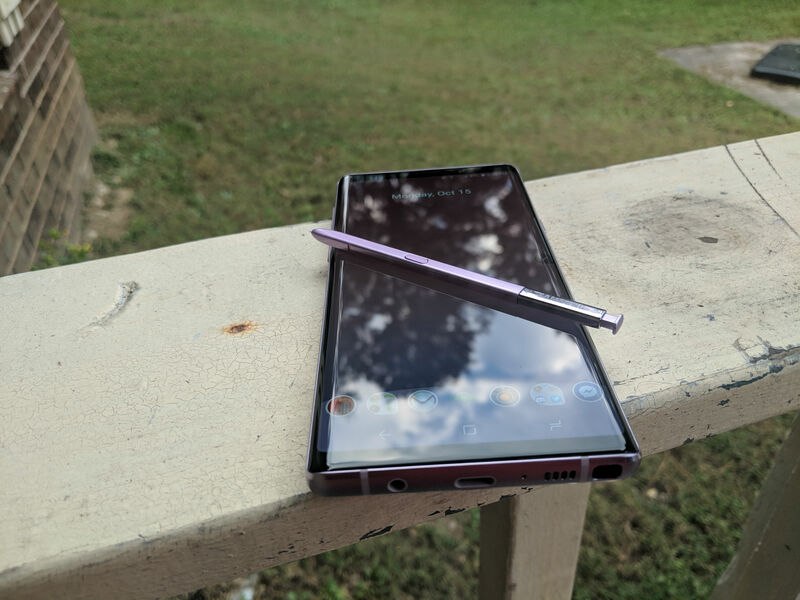 However, there are many that will truly enjoy the Samsung Galaxy Note 9 and there are those that absolutely swear by the S-Pen stuff that Samsung does. 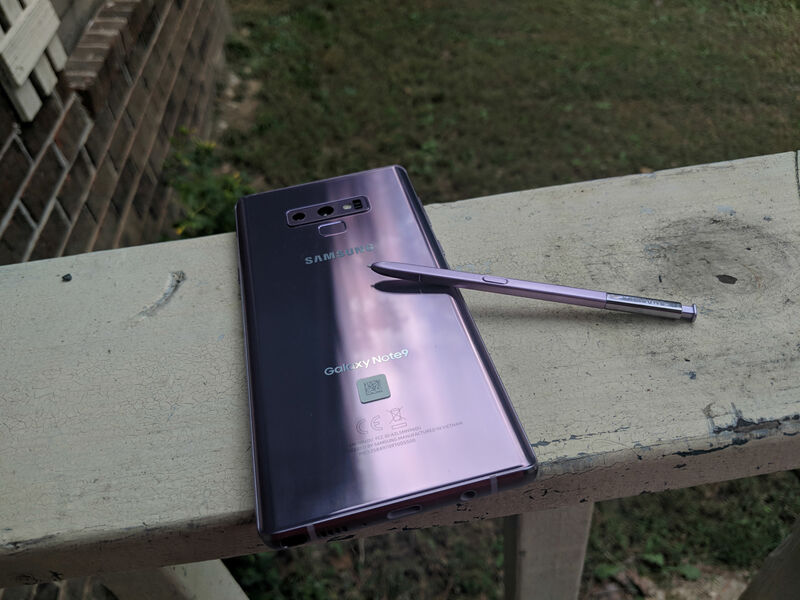 The Note 9 has some great features and options but nothing that the S9/S9+ doesn’t already have except the S-Pen. If you’ve got one of those two devices, I’d say stick with them until next year. If you’ve got a Note 8 or older then sure, this device is something worth upgrading to. Especially since it very well could be the last in its series as there are a lot of rumors that Samsung is going to kill off the Note series after this year. That remains to be seen. 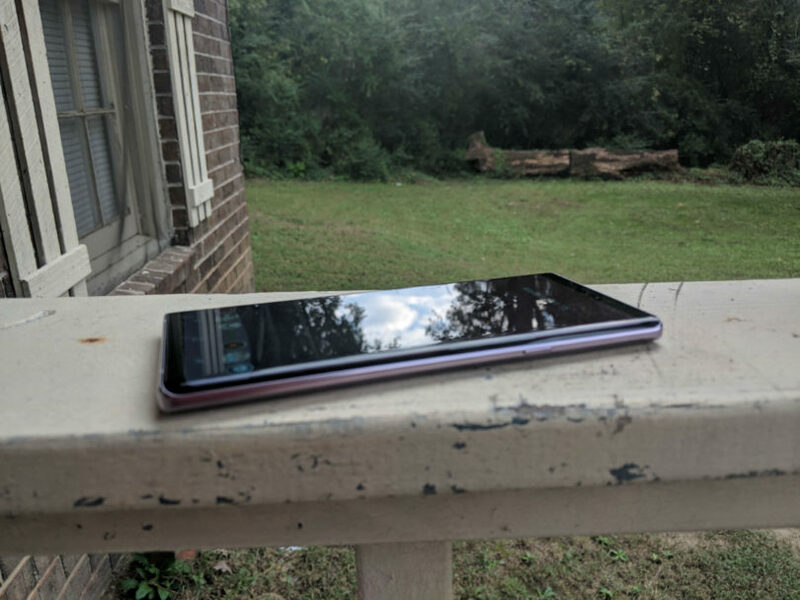 Again, huge thanks to Verizon Wireless for sending over this review unit and for allowing me to always test and play with the latest and greatest devices. 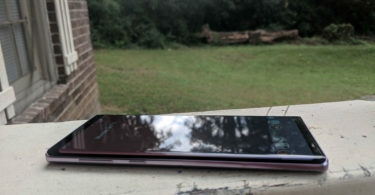 Keep an eye out on the next review here at TechDissected which will be the Moto Z3 from Verizon Wireless.